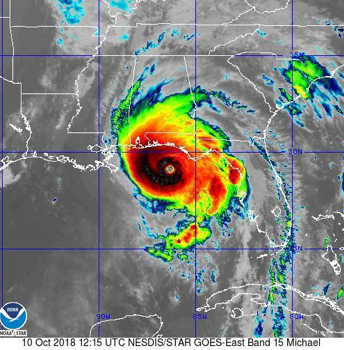 As expected, Hurricane Michael has intensified in the Gulf of Mexico, and is now a powerful category 4 storm approaching the Florida Panhandle. Major Hurricane Michael has reached CAT 4 strength and will make landfall early this afternoon near Panama City as – most likely – a CAT 4 storm. The Florida Panhandle region has not seen a storm of this strength, and Michael will be the strongest October hurricane to make US landfall since Hazel hit the Carolinas in 1954. The forecast straight track will really create severe flood inundation over a wide region. The pressure has fallen 35 Mb in 24 hours, an amazingly rapid development in response to a favorable environment and very warm water. The highest winds are located in the eye wall. The GFS model has been remarkably consistent in the track the past several days but the solution is a little weaker than actual due to the resolution and the rapid strengthening of Hurricane Michael. The peak wind gust (as of 8a) are in the 50 mph range but will increase rapidly along the coast the next several hours. 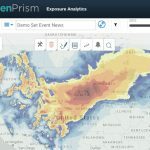 TS winds are expected to track across Georgia and the Carolinas. 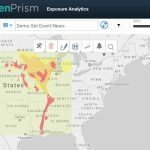 Heavy rainfall will occur along the track – five to eight inches – and much of this will fall in the Carolinas in areas that are already extremely wet due to Hurricane Florence, increasing flooding. Coastal flood inundation of 9 ft to 13 ft is expected from the center of the storm and to the right. Timing is somewhat critical for coastal flood inundation but will be catastrophic regardless of timing. 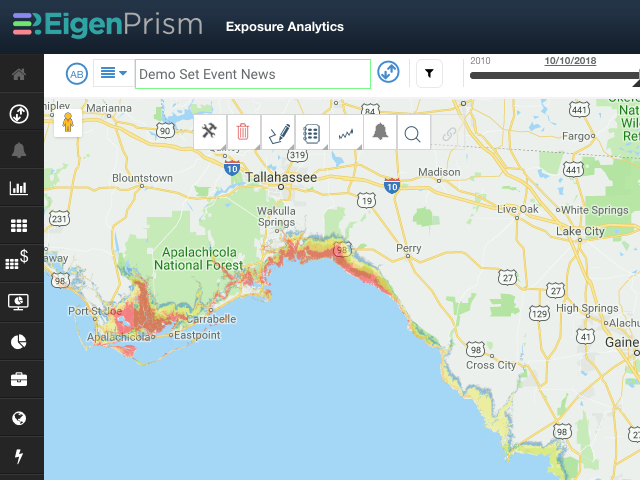 A forecast impact summary report template for Hurricane Michael has been provided to EigenPrism subscribers, containing data sets to help assess potential damage, including wind, precipitation based flood and potential storm surge. 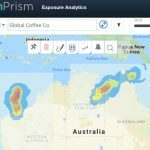 Please just click here to email us if you need help setting Alerts, or with further event analysis.